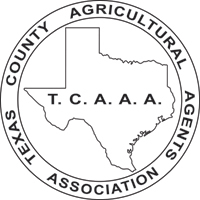 Dr. Charles Graham, a Texas Horsemen’s Partnership (THP) member and owner of Southwest Stallion Station in Elgin, was one of seven Texans honored as “Man of the Year in Texas Agriculture” by the Texas County Agricultural Agents Association (TCAAA) at their recent annual meeting and banquet held in Corpus Christi. Dr. Graham was recognized for his leadership in agriculture and agribusiness and continued support of educational programs conducted by county Extension agents. Dr. Graham has been a supporter of the Bastrop and Gonzales County Extension program efforts, sponsoring beef cattle educational programs, hay shows and 4-H educational programs at his business facilities. Along with Extension, Dr. Graham strives to educated beef producers on production, management and marketing practices for them to remain profitable. He assisted with sponsoring the South Central Texas Beef 706 Program in 2001, which he hosted at the Hills Prairie Sale Barn and fed the cattle at Graham Feedyard. Dr. Graham has been active in the beef industry on the state level. He has been a featured speaker at the Texas A&M University Beef Cattle Short Course and is an active member of the Texas Cattle-Raisers Association and the Texas Southwestern Cattle Raisers Association. He recently helped found the Brahman Influenced Marketing Group to aid marketing efforts of “eared” cattle in South and Central Texas. Dr. Graham has been active in the Texas horse industry. He is the only person to serve terms as president of both the Texas Quarter Horse Association and the Texas Thoroughbred Association. In addition, he has served as president and/or as a board member of the American Association of Equine Practitioner and the Texas Veterinary Medical Association. He is one of the most renowned equine veterinarians in Texas. Dr. Graham has been a supporter of 4-H and FFA youth by donating to local fundraisers, horse shows and purchasing animal projects at livestock show auctions. He regularly furnishes the use of his facilities in Bastrop and Gonzales counties for use for 4-H validations, weigh-ins and educations tours. Dr. Graham was elected as a member of the Texas Horse Racing Hall of Fame in 2002 as a result of a lifetime of contributions to the Texas racing industry. Some information obtained from “The Bastrop Advertiser” of Thursday, August 28, 2003.